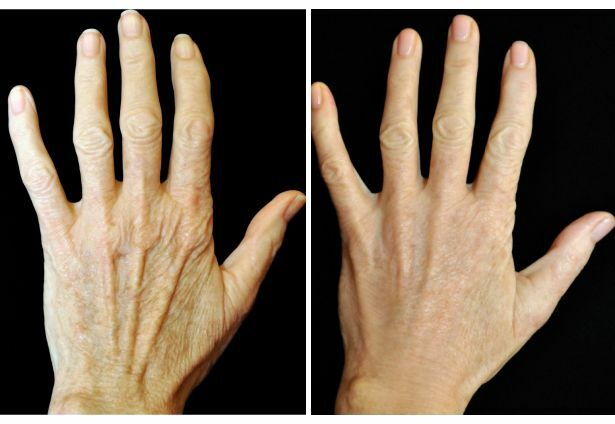 Why is it important to address hand ageing? Our hands are always on show so ideally, we like them to be in the best possible state. Our hands can give our age away even if our face doesn’t. Exposure to sun and environmental irritants can make hands age quickly. Loss of soft tissues in the hands leads to the prominence of veins and tendons that accelerates hand ageing. What are the non-surgical treatment options for hand ageing? Injection of dermal fillers to hydrate the skin on the hands such as Restylane skin boosters and Juvederm hydrate. Injection of dermal fillers for the loss of soft tissue in the hand. Injection of Profhilo for hydration and collagen stimulation. Chemical peels such as Obagi Radiance Peel for age spots on the hands.